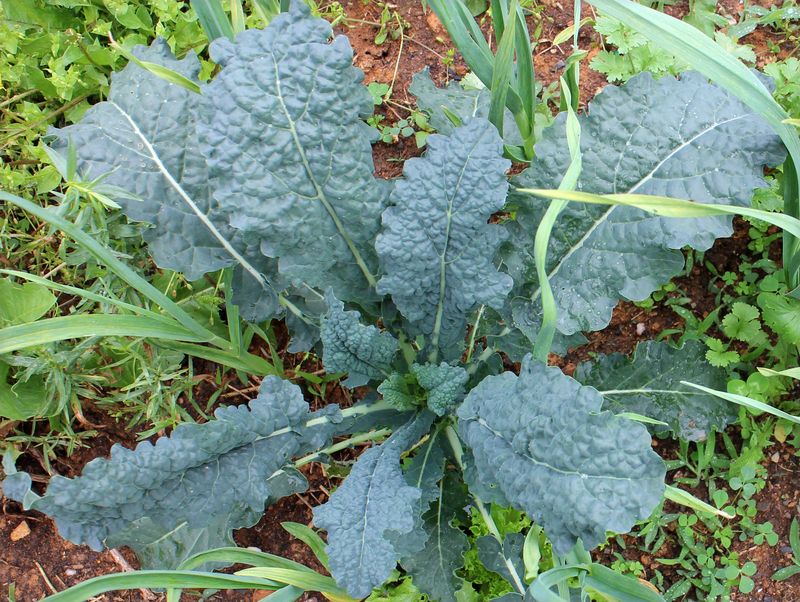 I was watering yesterday and gave little attention to the stray kale (Lacinato) that had somehow gotten in with a patch of garlic . What I did notice, though, having just moved from watering the Brassica bed, was that there were no flea beetle holes in its leaves. NONE. Kale interplanted with garlic and herbs. 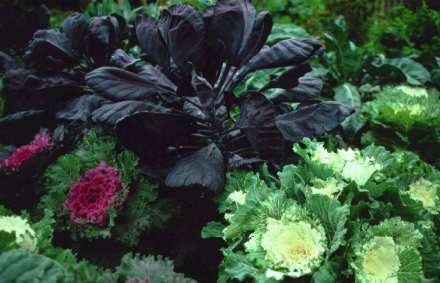 Yet the same variety, fifteen feet away (and surrounded by other Brassicas) was too pitiful for the table. 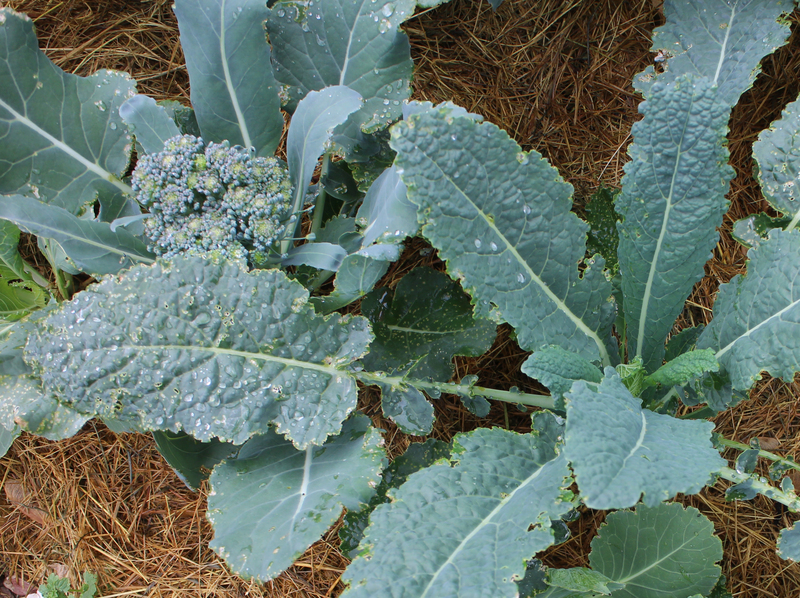 Kale plant surrounded by other brassica plants. Its pretty well known that diverse plantings make crops plants harder for pests to find, and of course there is a wide belief in particular companion planting combinations. I haven’t found most of the cases for insect repellent effects convincing: radishes with squashes, marigolds with tomatoes, sage with cabbages, etc. What I have found useful is companion planting for space and nutrient utilization. THAT I can get my head around, and the results are obvious, and often beautiful. But this was hard to ignore. The actual population of the little “bed-end” that had been ignored included one Lacinato kale, one Bright Lights chard, two cilantro plants and 8-10 garlic plants (Susanville soft neck). Maybe cilantro has repllent properties (it repels me) but out of this particular inventory of plants (unless one wants to say it is “the mix”) I would guess the garlic to be the flea beetle repellent. Based on that I am doing a sort of “double experiment” this season, which is to companion plant onions with (trellised) cucumbers. I was wondering what to do with those Tropea onions I started in the cold frame back March anyway. Both of those points, however, are topics for another post (or two).